Literacy Council of Frederick County, 110 E. Patrick St. This conversation class is for intermediate to advanced students. We talk...hold conversations on any subject such as one's favorite holiday, food, travels, family and so much more. The only qualification to joining is one we all have...talking. There is no pressure to read, give a speech...just converse and get to know one another. This is an ongoing class that meets on Thursdays from 1:00 p.m. to 2:30 p.m. except for the 2nd Thursday of each month. The Parent Outreach Conversation Class is for parents of children who attend Hillcrest and Waverley Elementary Schools. 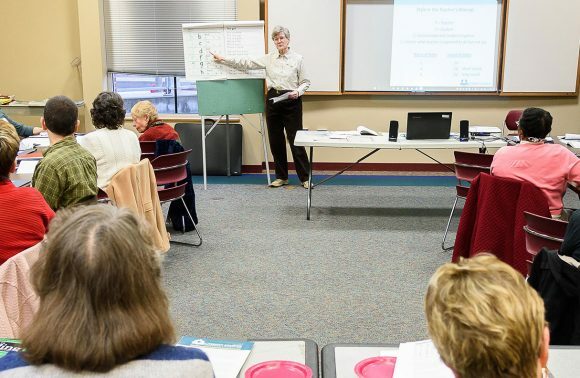 The class will meet on Thursday afternoons at from 1:00 to 2:30 p.m., April 4 through May 23, at Centro Hispano de Frederick. 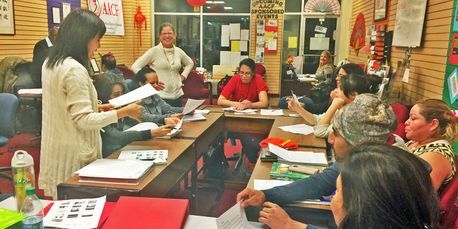 This ongoing ESL class is for adults at a high intermediate level of English proficiency who want to improve their listening, speaking, reading and writing skills as well as their vocabulary, grammar, pronunciation, and critical thinking skills. 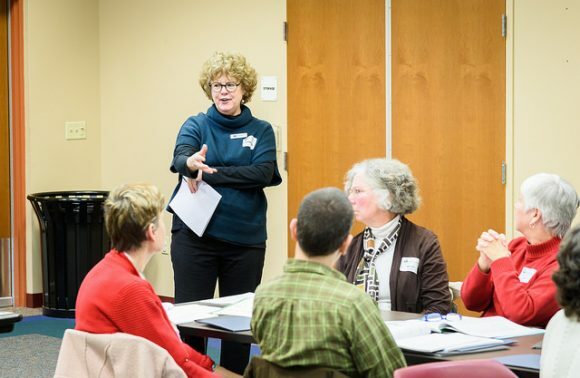 The class meets on Thursdays from 6:00 to 7:30 p.m. at the Asian American Center of Frederick (AACF). Contact AACF for more information. Prepare to tutor an adult who needs to learn English or a native English speaker who needs to improve their reading skills with two days of in-person training by our experienced tutor trainers. Both days are required for completion. Attendance at one Volunteer Information Session or an approved alternative prior to the training is also required. 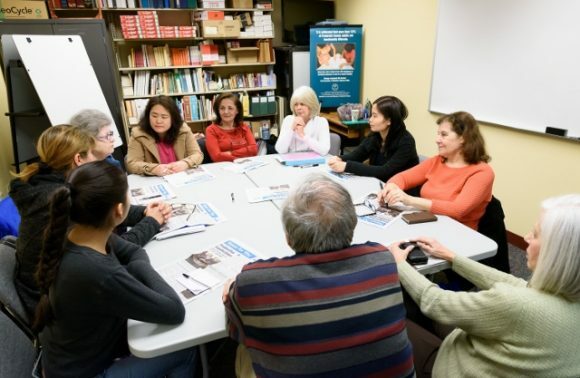 The ESL Intermediate Class incorporates reading, listening, speaking, grammar and conversation. Reading for leisure and expanding socialization through conversation will be encouraged to help students leave their comfort zone and engage outside their native community. The class will provide tools necessary to use English, rather than their native language, to engage in our society. Students must be literate in their native language and have some basic English education to participate in this class. Space is limited and registration is required. In the ESL Beginner Level 2 class, students will learn more words, form longer sentences and questions, and use more negatives and verbs in the present, past, future and continuous tenses. The class also meets on Wednesday. In the ESL Level 1 Beginner Speaking and Reading class, students learn new words and how to form short sentences and questions. They also learn to use negatives and verbs in the present and present continuous tense. 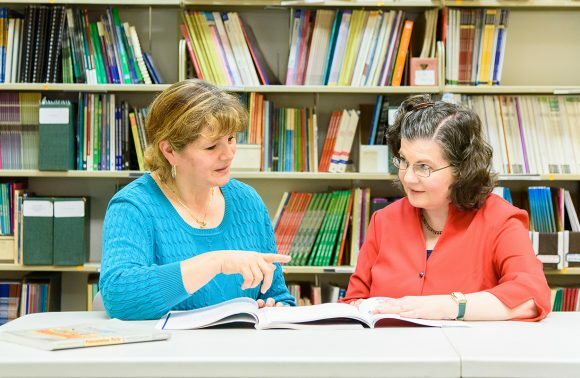 The class will meet on Tuesday evenings, 7:00 to 8:30 p.m., from April 16 through June 25. 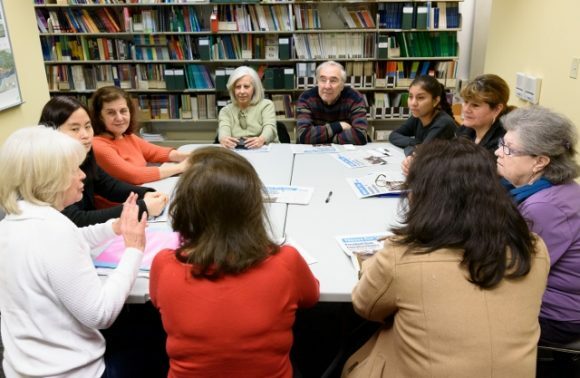 The Wednesday morning Advanced Conversation Class is a class for adults who want to improve their ability to speak and understand American English. We have conversations about many subjects - holidays, food, travels, family, current events and more. 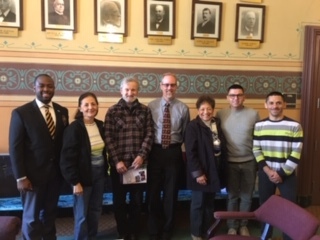 The class will meet from 10:00 a.m. to 11:15 a.m. each Wednesday, January 9 through May 29. Space is limited. Preregistration is required. In the ESL Beginner Level 2 class, students will learn more words, form longer sentences and questions, and use more negatives and verbs in the present, past, future and continuous tenses. The class also meets on Mondays. Come learn about the Literacy Council, and get information on the ways to volunteer and what volunteering involves. You will learn about our programs, who we serve, and how you can help. Students can come to the Online Learning Lab to use various online programs independently. They can improve typing skills, reading, or vocabulary, work on GED preparation and more! Students must have basic computer skills. The lab will be held on Mondays from 12:30 to 3:30 p.m., May 6 to June 24. Writing Class 2 is a more advanced course than Writing 1. Students will be asked to write paragraphs using a cogent argument and persuasive language. They will continue to learn basic grammar and edit paragraphs for grammar errors and error in the structure of a paragraph. They will read paragraphs and discuss main ideas and the value of supporting materials. 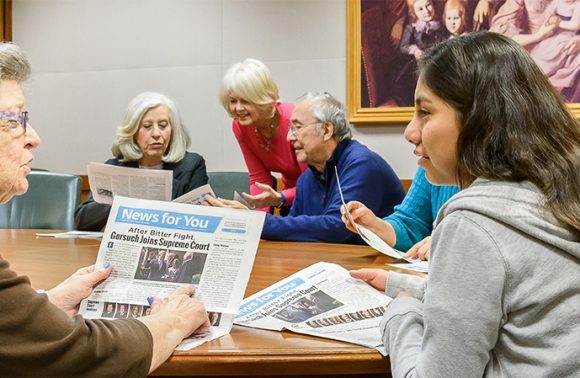 The class will meet on Tuesday mornings from 9:30 to 11:00 a.m., May 7 through June 25. Writing Class 3 is a more advanced class than Writing 2. Students will review the elements of writing structurally sound sentences, clear and logical paragraphs, and then develop a 5 paragraph essay. Students will read and discuss The Circuit by Francisco Jimenez. 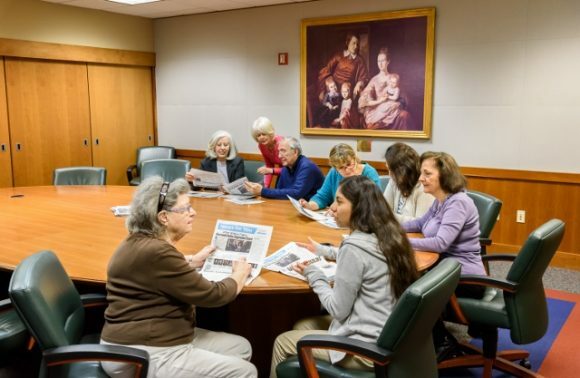 The class will meet on Wednesdays at 11:30 a.m. to 1:00 p.m. from May 8 through June 26. Space is limited and registration is required. 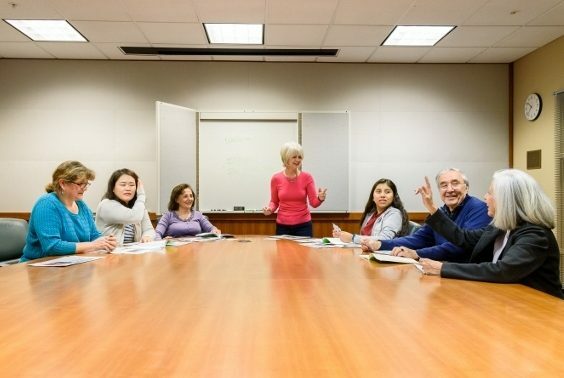 Beginner Conversation Class is a class for beginning adults who want to improve their ability to speak and understand American English. The class will meet on Friday afternoons, 3:00 to 4:30 p.m., from May 10 through July 26. Benevola United Methodist Church, 19925 Benevola Church Rd. Prepare to tutor an adult who needs to learn English or a native English speaker who needs to improve their reading skills with two days of in-person training by our experienced tutor trainers. Both days are required for completion. You must also attend one Volunteer Information Session or an approved alternative prior to the training.